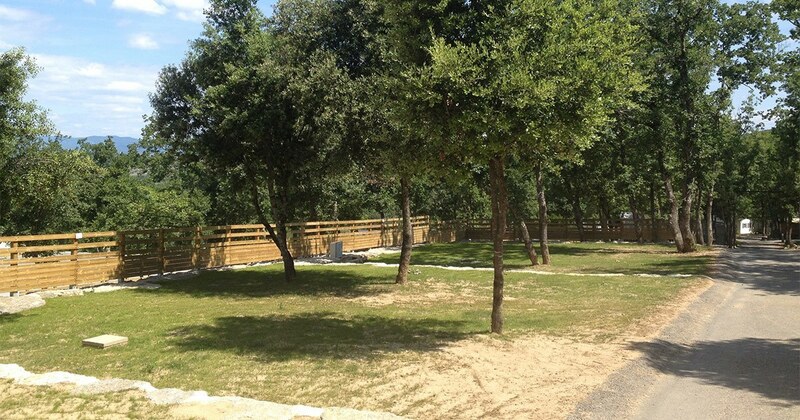 In the Ardèche department, in the Auvergne Rhône Alpes region, There is a campsite called alum Vacances. It is located in the commune of Ruoms. Known for its famous Alum festival in june, It is also an outdoor hotel that receives holidaymakers and tourists between the months of March and November each year. You can find everything you need during the holidays in this Area. Among the lodging proposals that the campsite does, there are the Locations. They are generally recommended for traditional campers and those who want to stay in the heart of Nature. The campsites of the 5-star campsite Sunelia alum vacation are land set up in nature to receive campers in caravan, motorhome or Tent. They are located in a shady or semi-shady wooded area. They have an area of 100 m2 to 120 m2. On a flat floor away from curious glances, campers can settle down and enjoy the outdoors on a vast space just for Them. They can relax and unwind while enjoying the freshness of nature. To optimize their comfort although they choose to live in the manner of Robinson crusoe, the campsite offers power supply terminals with European plug 10 A and potable water supply terminals. They also have access to 4 common sanitary blocks spread out on the grounds of the Hotel de plein air. These have "baby" cabins. They are also accessible for people with reduced mobility and even have special cabins for this category of Clients. In high season, the locations are rented from 12 am to 12 pm. If you like nature or if you want to try new experiences during the holidays, the locations represent perfect choices. They allow you to enjoy a soothing environment. You can also have total privacy and yet you can have access to all the 5 star comfort elements of the Campsite. In addition, we also benefit from all the high-end services of this Campsite. You can go to the bar to drink fresh drinks or hot drinks. You can also order various dishes at the Restaurant. We also have the right to shop at the Campsite's grocery store if you need to buy Essentials. All the traditional campers on the site of the Hotel de plein air aluma holiday have access to the various facilities that are found There. Like tenants of mobile homes and other rentals, they can swim at the water park, play on sports grounds or PLAYGROUNDS. They also have the right to attend or participate in the games, shows etc. organized by the professional animators of the Campsite. Holidaymakers who rent camping sites in the Aluma holidays during the period of the Alum Festival can take advantage of the opportunity to attend the various shows and animations taking place on Site. We have electricity terminals with European power-points (10A). Plan to bring an adapter.